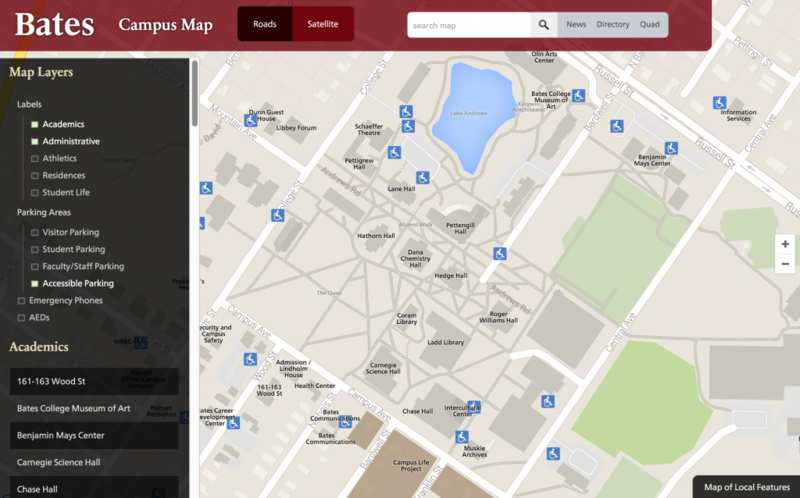 Using Google Maps as the base code, I added the entire campus map to a custom map implementation. The map includes buildings, accessibility data, parking information, emergency phone locations, etc. There’s an “as-you-type” search feature which limits the buildings/departments displayed in the list and selects the item if there’s only one left. 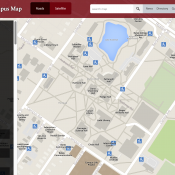 There are also numerous filters for parking types, building types, and for other stuff on the map. Oh, and a beacon icon showing your current location.